It's an exercise about toys. You should fill in the gaps with the correct word from the box. 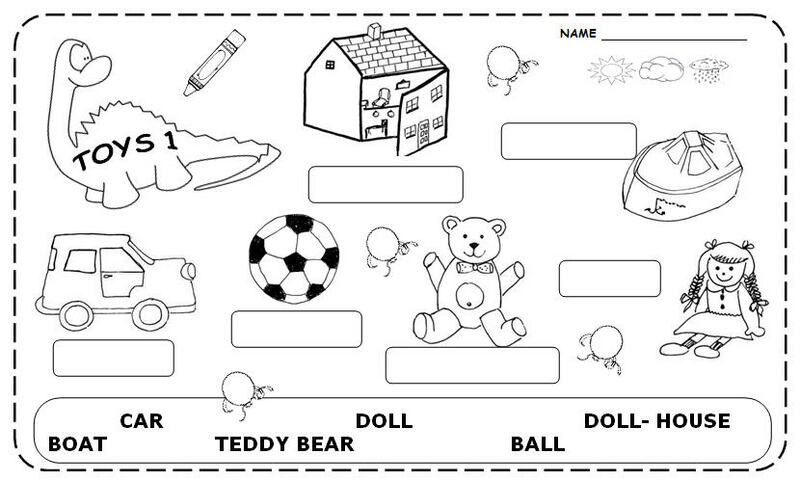 The name of the toys are: car, doll, teddy bear, doll house, boat, and ball. Its good for elementary pupils to practice vocabulary and identify correct toys.